Overview of Yoga - What is Yoga? "Yoga" is the Sanskrit term used to describe a practice which began in India thousands of years ago. It is usually translated as "Union" and comes from a Sanskrit root verb which means to "unite, join or connect". This act of connection or union refers to the highest goal of Yoga itself which is to merge the body and mind, and then the individual consciousness with the Supreme consciousness. In other words, its goal is Spiritual Enlightenment or Self-Realization. Despite this high goal, Yoga has many other benefits which are actually byproducts of the process. It is these effects on body and mind which have made Yoga so popular in the West. Practices in most Yoga styles have techniques that address the body, the mind and the spirit. 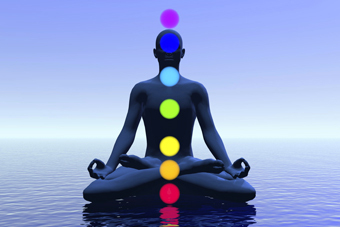 This helps to create a healthy body, a calm and steady mind, and a deeper awareness of our divine Self. Because of this dynamic and inclusive approach, the benefits of Yoga and yogic practice are vast. Physically Yoga detoxifies the body, strengthens the muscles and organs, increases flexibility and health, increases overall body function and vitality, and also decreases stress and tension in the body. At the Mental level, Yoga reduces stress and calms the mind, which helps to create increased peace and greater focus in daily life. Yoga helps to bring our awareness into the present moment of experience, allowing us to live without reference to old painful patterns and worries about the future. With the benefits just described, it is easy to see why so many people in the West are turning to Yoga. Here in the West it is commonly thought about as a stretching style exercise program, or perhaps a way of reducing stress. And regular yoga practice most definitely provides these and many other benefits! The deeper intention of Yoga Practice as taught in Indian Traditional Yoga styles is conscious connection with and deepened awareness of our spiritual Self. Initially, some people are drawn to yoga for the Spiritual aspects. Others just enjoy the positive physical and mental benefits with no desire to take it further. Still others begin with the physical and mental goals and find that the practice magnetically draws them deeper into themselves without any pre-existing desire for spirituality. At the spiritual level, the calm mind and the relaxed and healthy body which are created in the beginning stages of Yoga are just a means to another end. Once the mind is calm and focused and the body is no longer crying for attention, the Mind begins to turn its awareness back upon itself. With greater health and increased peace, the awareness of our Being naturally becomes curious about its own nature and begins a deep self examining process. This initiates a deeper level of spiritual search and leads the practitioner to the final discovery and goal of Indian Traditional Yoga styles: the True Nature of the Self or Mind. Because Yoga was developed as a scientific approach, regular yoga practice will ultimately prove beneficial, with any spiritual background, or even if you don't believe in God at all. Yoga can lead even an Atheist to discover the True Nature of the Self. Various aspects of Yoga which may initially look like religion can easily be explained from a more scientific approach bypassing the need for a defined God. The way in which you choose to approach your Yogic Practice will be fully respected and supported. Please read the next sections to discover more about the types of Yoga that I teach and the Yoga Services that I offer. By focusing primarily on Asanas (Yogic Postures), one can increase flexibility, strength and overall vitality. It can be taken as an independent practice, or as part of a full fitness program. The different postures help teach you to systematically relax the body, increasing flexibility and reducing stress and tension in the body. They further provide a form of self massage for different areas including muscles, glands, internal organs, and joints. In addition to improving tone, this helps to remove poorly circulating areas of blood and replace them with the fresh nutrients and highly oxygenated blood, thus improving overall health and function. Basic Yogic Breathing exercises (Pranayama) help improve the effects of oxygen exchange in the body and add to the internal organ and gland massaging effects. A combination of different Yogic Postures and Breathing exercises will be chosen to help you reach your individual goals. This level of yoga gives increased focus to meditation, and pranayama, with an option for chanting. For most people, this will also include the Asanas (Yogic Postures), although meditation practice can be taken up independently. When working with Yoga for Stress reduction, the Asanas become a tool for awareness and integration of body with mind through the breath. Pranayama further enhances the awareness of breath and the Body/Mind connection. Chanting helps calm and center the awareness, and Meditation provides a vehicle to experience and deepen the changes happening in the mind. Regular Yoga Nidra practice also enhances these practice. Remember that the physical benefits of the Asana and Pranayama practices will also occur, and will further enhance the steadiness of mind. A combination of different techniques will be chosen to help you reach your individual goals. Yoga as a spiritual path starts with the physical and mental benefits and expands the intention of practice to be about purification of body and mind with the aid and support of Spirit. By purifying every level of the being, the awareness of the practitioner is naturally drawn more fully into the present moment, becomes more deeply connected and identified with God, and spontaneous experiences of deep meditation begin to manifest. These levels and experiences of Yoga can be approached through any religion or even by an Atheist. In either case, it becomes a search for the Truth of Reality within the individual practitioner: The Nature of the Self or the Mind. 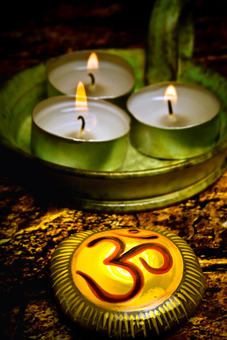 Different tools and practices will be offered to help you direct your awareness inward towards your Self, including Asanas (Yogic Postures), Pranayama (Yogic Breathing), Meditation, Mantra Chanting, Yoga Nidra, various other Tantric Practices, as well as information on the Advaita Vedanta and Tantric Yoga philosophies of Non-Duality. Additionally, general coaching on Yogic diet and lifestyle are available, offering various choices which you may choose to slowly integrate into your life and Yoga Practice.